I am always interested in a good computer aided design (CAD) workstation. Not the “it’s inexpensive, but it’ll get me by” workstation, but a performance machine that offers a truly justifiable return on investment. 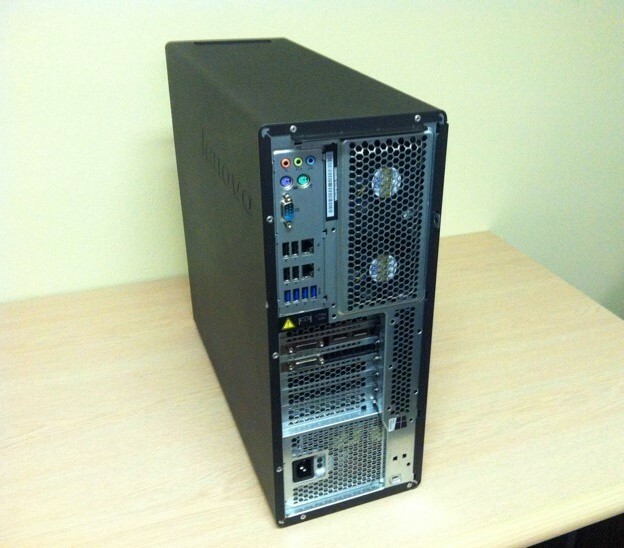 I was therefore happy to be able to review Lenovo’s new ThinkStation P700 Workstation. This review will detail my experience with the machine, and try to convey how it performed with various CAD and engineering tasks and, more importantly, what users may expect from it. I do love this machine. It’s big and beefy; so don’t plan on packing this thing in a little area near your desk. It has tons of room for growth, and gobs of USB ports. The speed on the machine never left me waiting (within reason) in any application, and the graphics were of superior quality. I cranked it up right out of the box, and after a short bout with software installation, I hooked it up to my mobile office cloud accounts, and began production work. 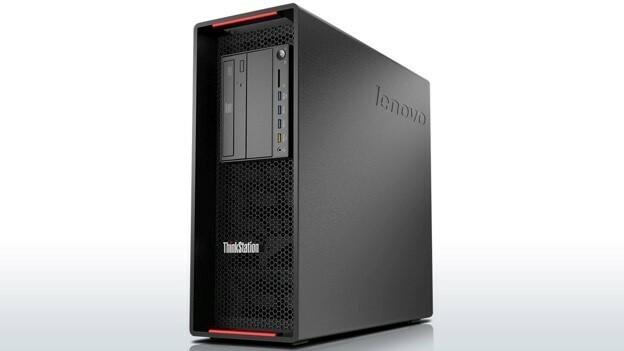 The Lenovo ThinkStation P700 marks the upper-middle ground of Lenovo’s line of hard-hitting workstations, designed to offer solid performance in the most versatile and expandable framework for the money. The case is thankfully robust, clean, simple and black with red accents. Convenient access connection are duplicated up front, including headphone, card reader, DVD drive, and (four) USB ports. The unit has convenient carry handles fore and on top. The side panel is engaged and disengaged by a very user-friendly and strong steel lever, which includes a keyed lock. Everything internal is modular and tool-less. The Xeon E5-2640v3 CPU in the review unit is an 8-core (2x thread) processor and is ranked in the top six percent of the high performing processors (by Passmark). The P700 will handle NVIDIA Quadro graphics cards that can support up to four independent displays as well as connecting 16 independent monitors with 1.2 stream cloning mode. In this review, I have used the standard software industry benchmarks, as well as certain CAD/CAE software to help convey a realistic expectation of the P700’s performance on daily tasks. · CPU rendering: 1136 pts. * It should be noted that the Passmark benchmark would not complete the DX9 complex test in series with the overall video rating. It did fine standalone, but the baseline comparison for video and the overall mean have thus been compromised. The remainder of the benchmark information was unaffected. I used this workstation to handle all my CAD and engineering tasks for two weeks. There was nothing in terms of CAD that I asked of it that it wouldn’t do. The following sections refer to the unit’s performance with related CAD/CAE tasks. Evaluations were performed with Autodesk AutoCAD Civil 3D 2015, Autodesk Inventor 2016, Autodesk Fusion 360, Siemens Solid Edge ST8, Autodesk Simulation Mechanical and SimStudio 2016, and KeyShot. Two of these are detailed below. Inventor performed extremely well on the platform, and I would give it the best overall feel on the Lenovo out of everything we tested. Eventually, when testing progressively more capable machines with general CAD work, you have to start getting creative with what you ask the machine to do. One thing that was notable was importing Bettak’s 4-axis concept mill from STEP files. I have seen it take around three to five minutes, but Inventor knocked the entire conversion and import of >500 components in less than 30 seconds. I noticed that the model load time from the M.2 SSD storage array was oddly slower than expected. On a hunch, I copied the project over to the SATA SSD drive and, wow, what a difference! The load time was reduced from nine seconds to less than two seconds. Screaming fast. · Start screen load time (no vault): 8 sec. · MKII engine sample load and update: <2 sec. · MKII engine ray tracing (shadows, textures, reflections) fine: 350 sec. Simulation Mechanical functioned very well. It was one of the nicest experiences I’ve had with the software to date. No lag, good selection speed and smooth 3D panning with the 3DConnexion SpacePilot Pro. 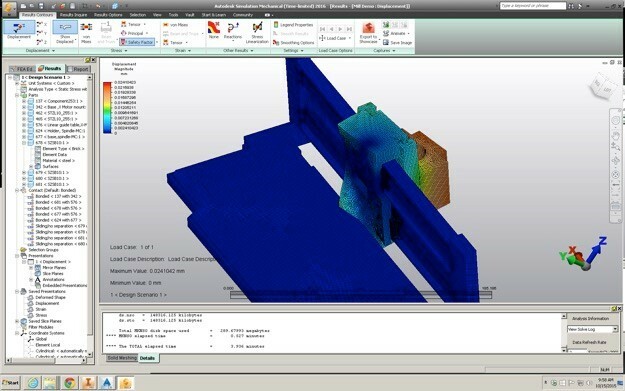 Outside of CAD, I spent the bulk of the evaluation time setting up the analysis model in Simulation Mechanical, as well as defeaturing in SimStudio. · Open ready load time: ~7 sec. · Mini-mill surface / solid meshing with 126260 / 365119 nodes: 50 / 79 sec. · Mini-Mill linear static stress analysis (1 surface load, bonded and sliding contacts, 365119 nodes, 1094425 equations/DOF) - solve time: 3.93 min. The 32 GB of RAM in the test machine was wonderful for CAD, but a bit more was needed to evaluate the machine properly for transient analyses. It is likely that the <4 minute solve, which was about half the time I expected, was partially due to the NVIDIA Quadro K5200 GPU being leveraged as an additional solving processor by this software. The Lenovo ThinkStation P700 was a solid-performing machine, and based on the cost of the machine as tested, you would expect nothing less. If you had mid- to high-end engineering work to perform, this machine would be one of the first I would suggest using as a daily driver. The tested configuration was well balanced, but if I had to pick the biggest player here, it would be the 8-core Xeon processor. I say this simply because I think the NVIDIA Quadro 4200 is an economical graphics card choice, and the M.2 SSD didn’t perform as well as I thought it should. That said, the general data performance was still impressively fast. The all-SSD storage arrangement moved 0.6 GB of data between drives in < 5 seconds. Engineers and analysts. The P700 in this configuration is a solid step into the arena of productive analyses. The Xeon processors do a fine job of multi-threaded mathematic calculations and allow other tasks to be performed in the foreground while analyses are being performed in the background. In that respect I found no issues. Moreover, the NVIDIA Quadro K5200's GPU is a great addition in instances where respective solving software will use it. I wouldn’t suggest this configuration for a full-time solving server, but as a good, hard-working analyst’s work-center, it should be no problem (add RAM; this is function dependent, but I wouldn’t start at less than 64 GB). CAD. This configuration was ideally tuned for a broad spectrum of complex CAD work. 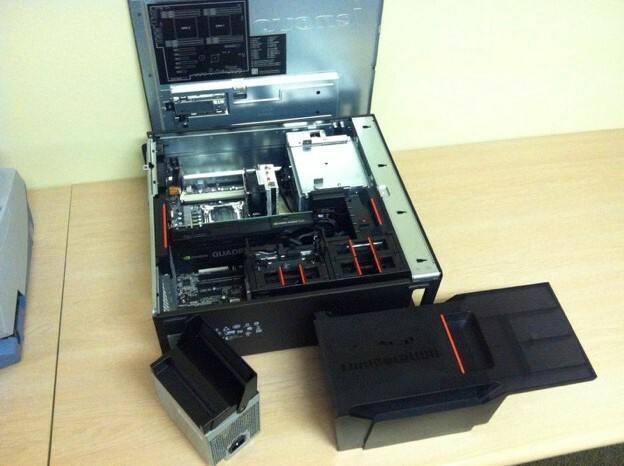 The P700 has a lot of room for expandability. If this (as tested) level of performance is not needed, and the price is a limiting factor, I’d suggest downgrading the processor and the graphics card a bit to make it more affordable. You can get a very capable combination in the P700 for around $4,000 with the same quantity of RAM and all-SSD storage. Get the best performing processor you can afford, and then simply add-on RAM and another processor as you may need in the future. Bettak’s 4-axis mini-mill concept design was graciously permitted to be used here. 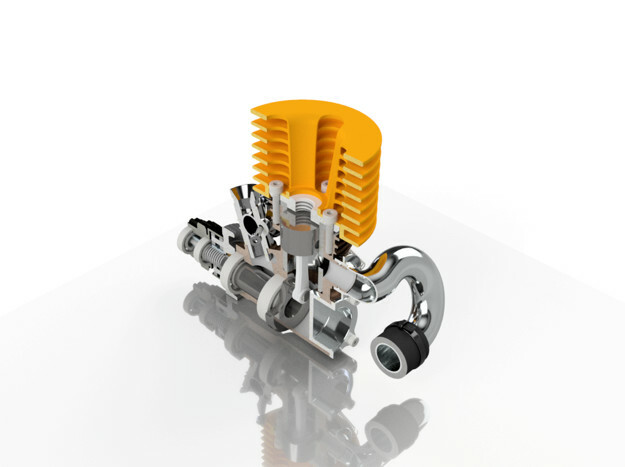 Autodesk’s MK II engine was sourced from the company’s sample file collection. John Evans is the managing director of Design & Motion, an R&D consulting firm assisting customers with product design, validation, simulation and data management. He is a veteran with 30 years of experience in the aerospace industry with mechanical engineering, design, fabrication, CNC manufacturing processes and, recently, civil engineering technologies. Evans serves as an engineering technical specialist for Design & Motion, and continues to perform as the manufacturing content editor for AUGI World Magazine. Lenovo has sponsored this article. They have no editorial input to this post. The views and opinions expressed herein are those of the author.